It’s not the first time I’ve written about these food packages quietly shrinking before our very eyes. The text on the pack of the packaging even replicates the backsides of Girl Scout Cookies this year. Well done. That’s right, Breyer’s just introduced the flavors this spring. As of this writing, it’s at the front of the Breyer’s homepage. I don’t know why the licensing went from one company to another. 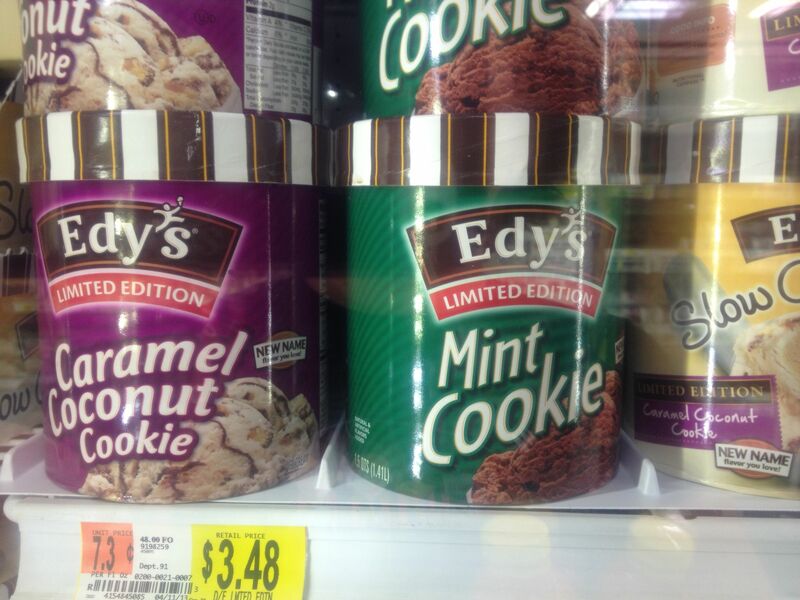 The prices are comparable, and both containers are 1.5 quarts (remember when ice cream came in half gallon containers?) The president of Turkey Hill ice cream discusses the changes in the industry in this 2008 blog post. I didn’t buy any of this ice cream, and I don’t plan to anytime soon. Reading this review of the Samoas flavor sort of turned me off to it. 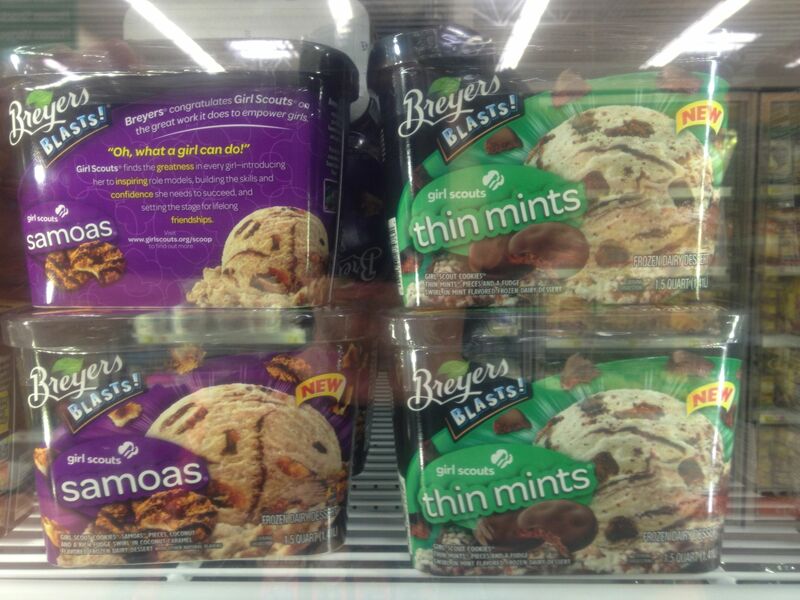 I could see my family really enjoying the Thin Mints flavor, but that will have to be after our move. We aren’t buying any more frozen foods until after we leave Florida. We have to eat what we have. I don’t eat a lot of ice cream anymore. Perhaps due to my getting older, my stomach doesn’t handle the milkfats the same way as when I was younger, and I don’t care for the taste of the low fat variations. 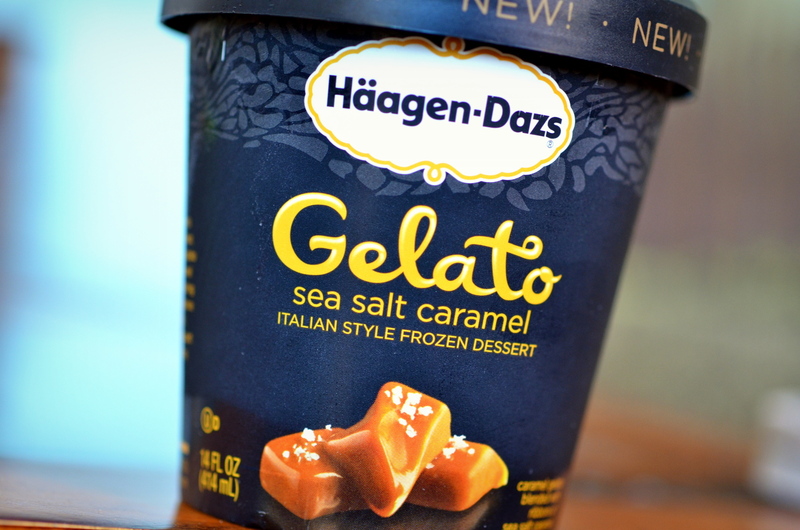 I’m hoping my stomach can handle the gelato…so far so good. Here ends another episode of “What did Major Mom see at the local Walmart?” Hope you enjoyed it.